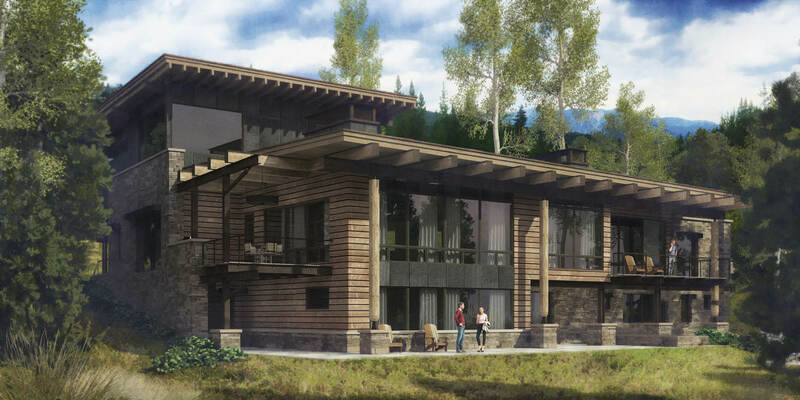 Valkyrie is located in the beautiful Spanish Peaks Mountain Club, a ski-in ski-out neighborhood in Big Sky, MT. 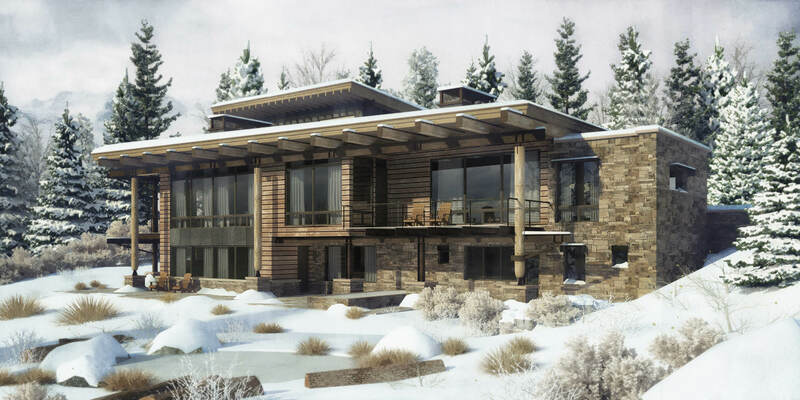 This Mountain Modern home boasts clean-lined stone on the exterior along with sleek wood siding and metal panels that clad portions of the front of the house. The large glazing on the back of the house opens to views of the mountains and ski trails. Mono-slope roofs jut out towards the mountains and create overhangs which are natural shading in the summer months.